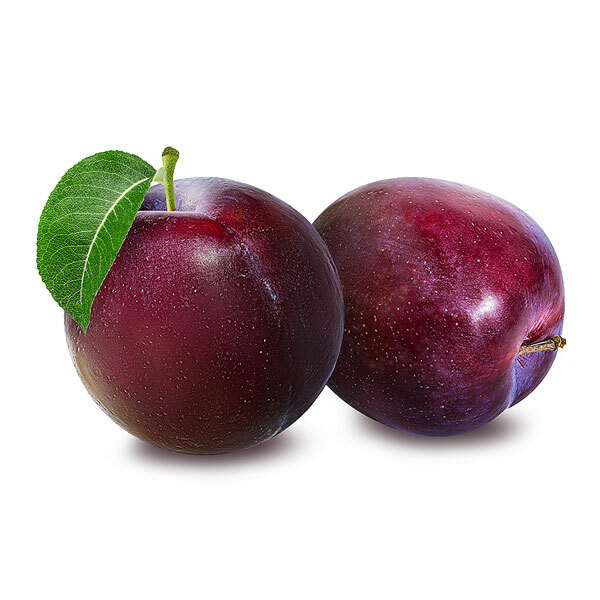 A plum is round with smooth, richly colored skin that vary in hue from deep purple to red, yellow and green. Plums have a sweet yellow flesh and a hard seed at the center. The taste of the plum fruit ranges from sweet to tart; the skin itself may be particularly tart.